We just spent this holiday weekend with dear friends at their beautiful home on the ocean. It was a great weekend filled with belly laughs, lots of food, drinks, a little singing, long walks on the beach, more food, more drinks...... and these incredible chocolate chip cookies. 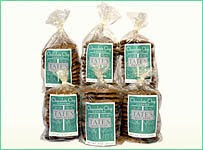 OMG......Tate's Chocolate Chip Cookies from Tate's Bake Shop in South Hampton http://tatesbakeshop.com/store/default.asp . A little secret that I had not known, but one worthy of passing on. Thin crisp buttery chocolate chip cookies.......yum yum! 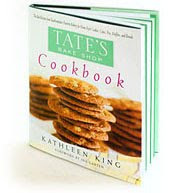 I am ordering the cookbook tonight and running to the store tomorrow for my very own bag. They are sold in select gourmet stores so do not panic, but you can buy them online. P.S. For an added treat keep them in the freezer! Thank you Amy and Stephen! !